In recent years, the subscription box market has exploded. There are all types of different options for consumers, and businesses can reap the benefits of continual engagement with customers and recurring revenue streams. What's more, with copious opportunities for social media posts, unboxing videos and reviews, the potential for brand awareness and grassroots marketing can be too tempting for some companies to ignore. As more businesses across every industry – from online-only e-commerce retailers to established brick-and-mortar brands – look to break into this sector, there are a few things to know about the emerging subscription box market and how to best support success. The subscription service delivery strategy has been beneficial for businesses for some time now. Regular, rolling monthly income is a key perk, and the ability to continually bill customers based on service and stated periods of delivery can bring a level of stability not seen with other types of strategies. And while monthly magazine deliveries and utility services have leveraged the subscription method for decades, the new trend of offering highly curated, monthly boxes only just recently emerged within the last few years. According to research from McKinsey & Company, subscription box retailers generated $57 million in sales on these services in 2011, and this figure jumped to $2.6 billion by 2016.
Who's receiving monthly subscription products? "15 percent of online shoppers have a subscription for recurring product delivery through a monthly box. " Currently, approximately 15 percent of online shoppers have a subscription for recurring product deliveries through a monthly box. Although women account for the majority of subscriptions through these services with 60 percent, men are more likely to have more than one subscription – McKinsey found that 42 percent of male subscribers have three or more active services. "E-commerce subscribers tend to be younger urbanties with money," McKinsey pointed out. "Compared with the general U.S. population, they are more likely to be 25 to 44 years old, to have incomes from $50,000 to $100,000 and to live in urban environments in the Northeastern United States. [M]en particularly value automated purchasing and the ability to limit store trips." What types of services will you offer? In addition to gleaning an understanding into the market at large and the types of customers that subscription services appeal to, it's also important to begin service considerations with the type of subscription that will be provided. Replenishment, which encompasses delivery of commodity items, typically household products that are usually bought at great frequency. Receiving things like razors, diapers or cleaning products on a monthly basis can be a considerable benefit for today's busy consumers. Curation, which involves more customized experience based on consumer preferences. This style of service demands more from providers in order to support the type of tailored experience customers are looking for. These are the types of boxes often seen in social media posts and reviews as each delivery is more of a surprise for recipients and often involve things like beauty products, clothing and accessories, food and other offerings. Access, which enables subscribers to receive discounts or perks for their memberships. This type of offering can cross over with curation-style subscriptions, as a box could contain curated items accompanied by special discounts only accessible to subscribers. It's also advantageous for those looking to enter this market to consider the types of offerings already out there. As Forbes contributor Andria Cheng noted, this marketplace is becoming more crowded than ever and can represent a "market-share fight" for businesses. With everyone from dedicated subscription box providers like Ipsy and Blue Apron to big names like Sephora, Walmart and Amazon supporting these services, it can be tough for an up-and-coming brand to make their mark with customers. The key may lie in identifying specific niche opportunities that aren't being fully served by existing providers. In this way, organizations can better differentiate themselves and address gaps in the current marketplace. 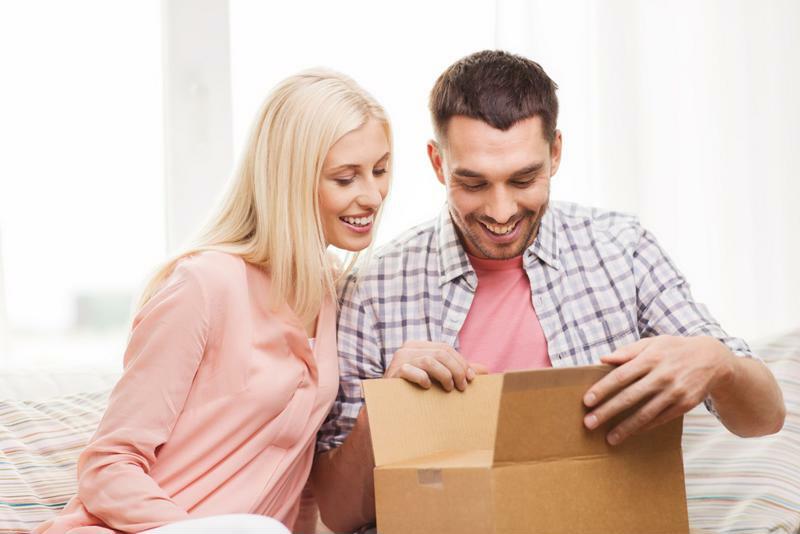 Opening a monthly subscription box can be an exciting experience for customers. Although the ability to enable recurring and more stable revenue streams is a main factor attracting brands to the marketplace, research shows that it might not be enough to simply provide the service. Businesses must continually look for ways to maintain beneficial relationships with customers and continually capture subscribers' attention to support the best client retention. "Churn rates are high, however, and consumers quickly cancel services that don't deliver," McKinsey noted. "The higher the churn rate, the more difficult it becomes for subscription e-commerce companies to cover their acquisition costs and to scale their revenues." Experts recommend not overdoing it when it comes to free trial offers or particularly high discounts, as these can compound the complications of high churn. Overall, more than one-third of subscribers end up canceling less than three months into the service. A subscription box offering can provide an array of advantages and perks, both for brands and their customers. However, certain considerations must be made in order to enable success and avoid the challenges emerging within this sector. For instance, businesses must listen to customer feedback and reviews, and leverage these insights in a way that improves future service. What's more, should any issues come up with billing, fulfillment or delivery, consumers must have a way to reach out to the brand to get their matters resolved. Any lack of communication capabilities may only encourage an unsatisfied customer to cancel their subscription. On the other hand, the ability to connect and communicate with company representatives using preferred channels can support a better experience. In this way, unified communications, including VoIP calling, instant messaging, email and more, are a must-have for organizations in the subscription box industry. This type of robust system doesn't just enable internal working processes, but is a benefit for customers and external partners as well.